Living abroad can be an exhilarating experience. It encourages new world views, increases cultural curiosity and supports willingness to explore unfamiliar terrains. However, it may also invite a sense of feeling a little lost in the world. Participate teachers leave their home countries to live in the U.S. for up to five years. This cultural exchange experience is so rewarding, but often comes with culture shock. Culture shock is a common phenomenon. Though it may take months to develop, it often affects travelers and people living far from home in unexpected ways. Culture shock is more than simply being unfamiliar with social norms or experiencing new foods. It tends to impact travelers even after they’ve become familiar with and comfortable in new cultures. 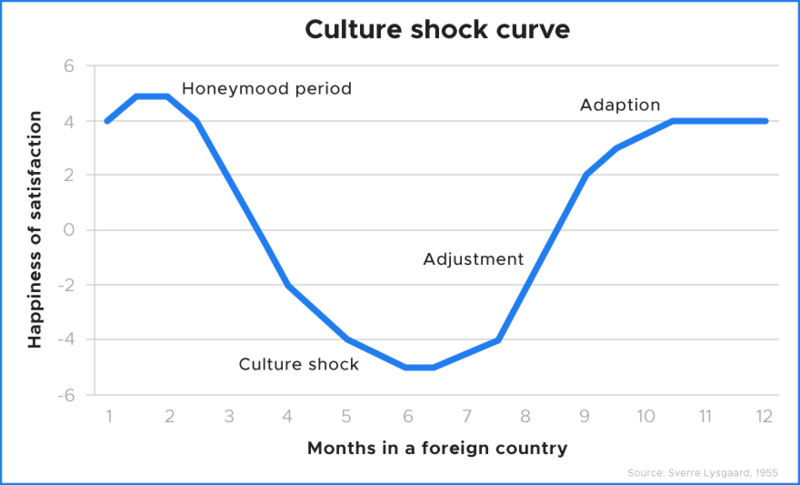 Culture shock generally moves through four different phases: honeymoon, frustration, adjustment and acceptance. Individuals experience these stages differently, and the impact and order of each stage varies widely. They can, however, provide a guideline of how we adapt and cope with new cultures. The first stage of culture shock is often overwhelmingly positive. Travelers become infatuated with the language, people and food in their new surroundings. At this stage, the trip or move seems like the greatest decision ever made and an exciting adventure. “In the beginning the whole process will seem weird for you. Open your mind, observe, try not to compare everything with what you have seen in your country,” said Iryna Khits, a Participate teacher from Ukraine. Frustration may be the most difficult stage of culture shock and is probably familiar to anyone who has lived abroad or travels frequently. At this stage, the fatigue of not understanding gestures, signs and the language sets in and miscommunications may be happening. “For me it was difficult at the beginning, but then it became the best experience I have ever had,” said Esmelin Rayo, a Participate teacher from Costa Rica. Small things – losing keys, missing the bus or not being able easily order food in a restaurant – may trigger frustration. And while frustration comes and goes, it’s a natural reaction for people spending extended time in new countries. Bouts of depression or homesickness are common during the frustration stage. Frustrations are often subdued as travelers begin to feel more familiar and comfortable with the cultures, people, food and languages of new environments. Navigation becomes easier, and friends and communities of support are established. Details of local languages may become more recognizable during the adjustment stage. “When I got here, the people that I interacted with made a world of a difference. 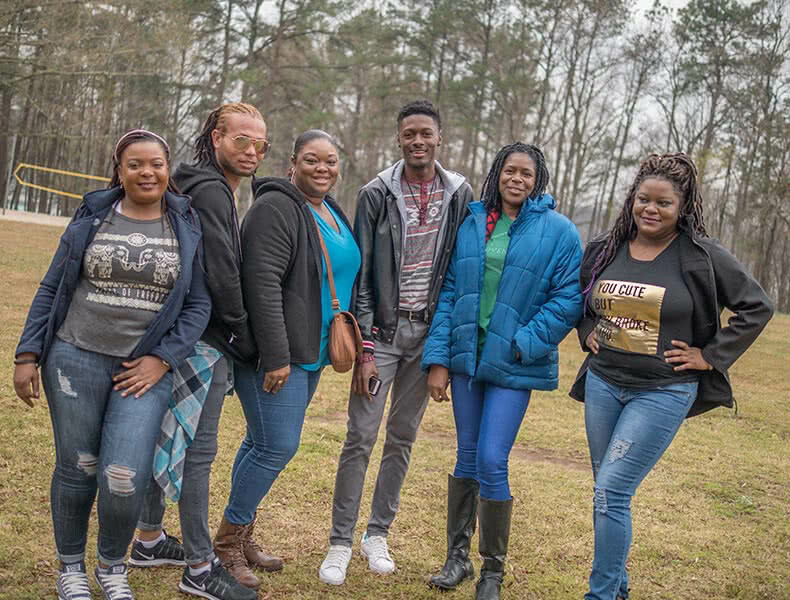 The fear that I had when I came to the United States was made easier by the people I met, especially at my school,” said Romaine Hemmings, a Participate teacher from Jamaica. Generally – though sometimes weeks, months or years after wrestling with the emotional stages outlined above – the final stage of culture shock is acceptance. Acceptance doesn’t mean that new cultures or environments are completely understood. Rather, it signifies that complete understanding isn’t necessary to function and thrive in the new surroundings. During the acceptance stage, travelers are able to draw together the resources they need to feel at ease. Though it can be one of the hardest parts of traveling, culture shock is just as integral to the experience as food, people and scenery. By recognizing it for what it is and finding ways to cope, you can prevent culture shock from ruining an otherwise enriching experience abroad. For more information about cultural exchange and teaching in the U.S., visit our application page.